Flying changes are often seen as the highlight of an advanced dressage test and are something every dressage rider wants to master! When the horse performs a flying change, he appears to be skipping as he changes from one canter lead to the other, sometimes in just one stride. 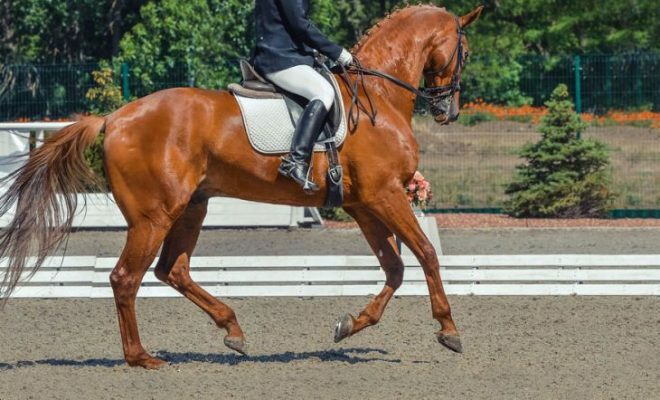 So, how do you teach your horse to perform flying changes like a pro? And when will you need to ride flying changes in dressage tests? You’re not required to ride flying changes in British Dressage dressage tests until you reach Advanced Medium level (rougly equivilent to 3rd Level in the US). In horse trials, flying changes are not included in dressage tests until Advanced level is attained. 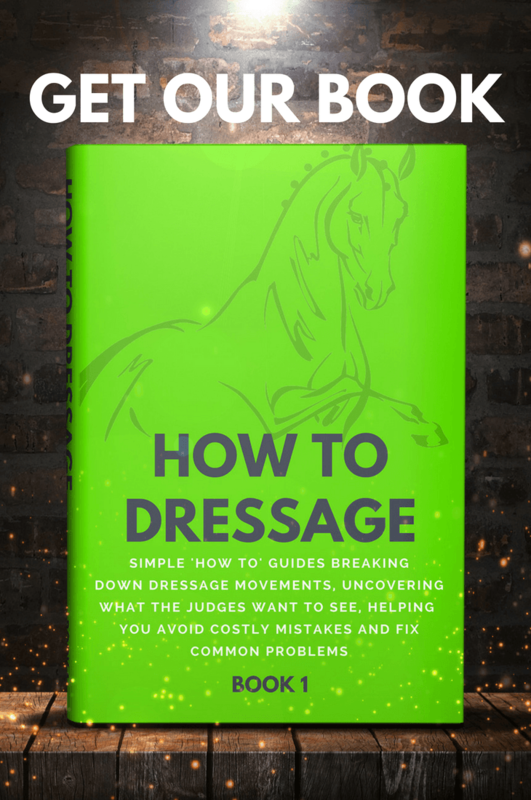 In pure dressage at Advanced level and above, flying changes are asked for in sequences every fourth, third, second, and ultimately every stride. This is a stern test of the horse’s balance, athleticism, and obedience. That said, you can still teach your horse flying changes if he is working at the lower levels in dressage. 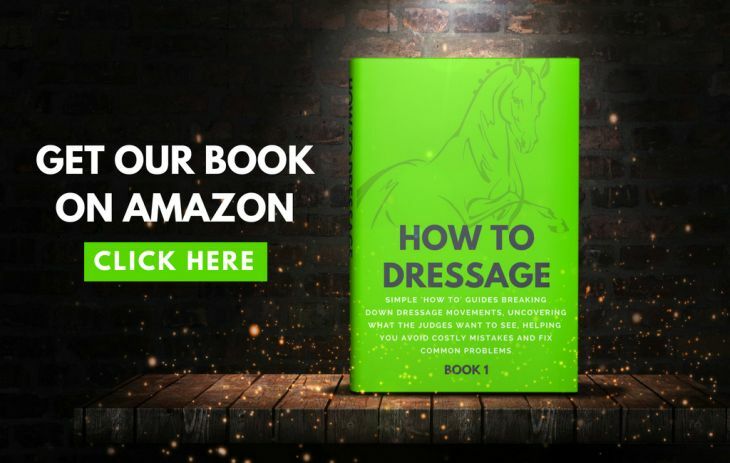 In fact, many event horses learn how to change leads as part of their jumping training well before they are required to perform flying changes in dressage tests. Producing good quality flying changes can take months or even years, depending on the horse, so be prepared to be patient! What makes a good flying change? The left hind leg provides support, stability, and balance. The right hind leg jumps through during a clear moment of suspension. 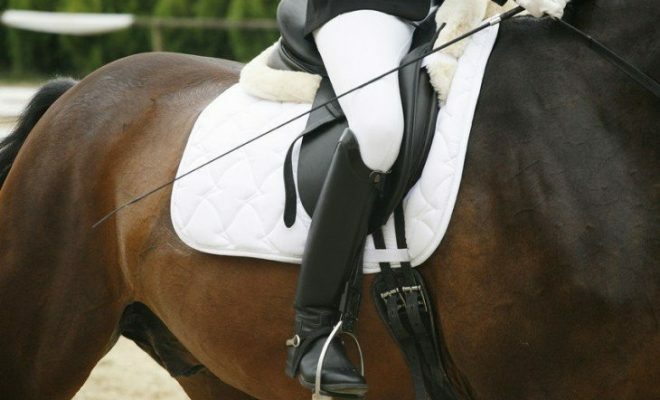 The right front and hind legs should be at the same height during the moment of the change. The horse must remain straight, indicated by the fact that the right hind leg jumps through into the hoof prints made by the right front leg. Throughout the flying change and during the approach to it, the horse should remain calm and relaxed. The tempo of the canter and the rhythm should remain unchanged. The change should appear to “jump” off the ground in an uphill trajectory as if the horse were clearing a small fence. The horse changes “late behind.” This means that the front legs change leads before the hind legs, making the change disjointed. The canter lacks jump, so the change is flat and on the forehand. Often, the horse will appear to be croup high. The horse loses balance through the change and consequently swings his quarters to one side, making the change crooked. Sometimes, a horse will make a correct change, but the canter is flat and lacking impulsion. In this case, the change will be described as “slipping through,” rather than jumping from one lead to the other. 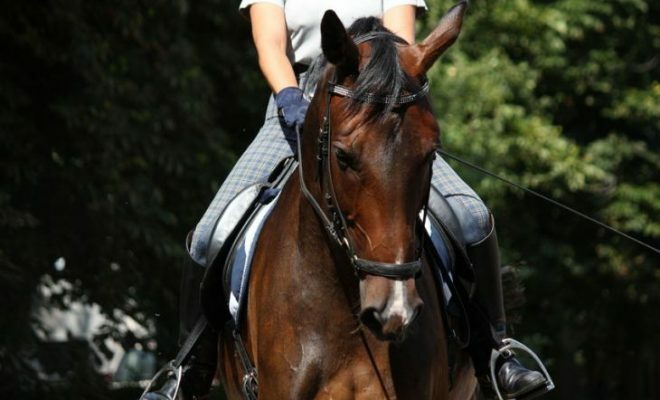 The quality of the changes will be determined by the suppleness and elasticity of the horse’s collected canter. If the canter is flat, lacking impulsion, or on the forehand, the changes will most likely be incorrect. 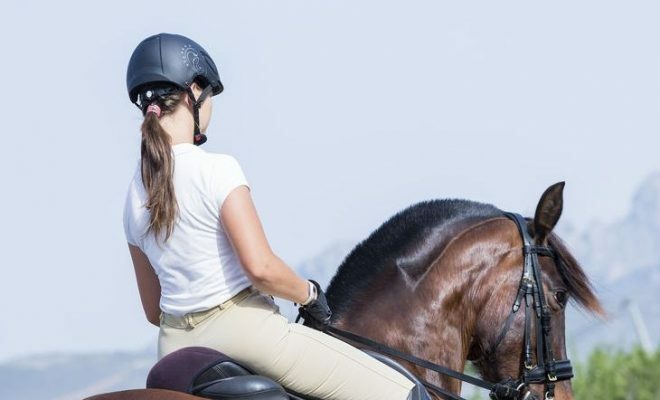 Before you ask for a flying change, the canter must be collected and horse must be able to “sit” with lowered quarters, and you must be able to sit deep and still in the saddle. When you ride transitions from walk to canter and from canter to walk, the transitions must be smooth and seamless from the smallest rein and leg aids. Once you’ve achieved this, it should be a natural progression for the horse to change leads directly, without the need for any walk steps between. Your initial aid is given by your new outside leg, i.e. your right leg if you’re asking for a change from right to left. Simultaneously, the horse must respond to your new outside rein (the right rein). The right rein helps to balance the horse as he picks up the new left canter lead, and helps to keep him straight. You must make sure that your horse is sharp to your aids. If he is slow to respond, he may learn to change early or late behind, which is a serious fault that can be difficult to correct. 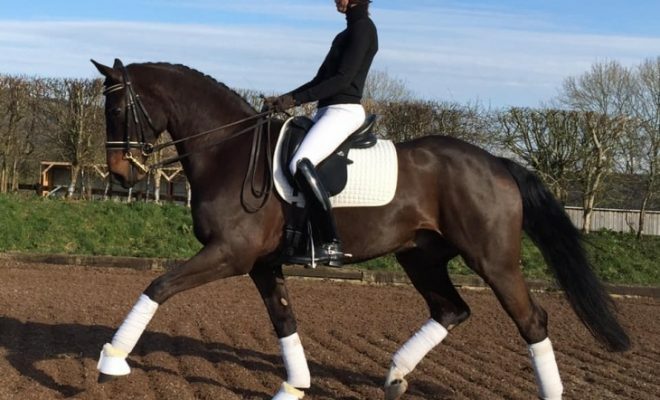 Flying changes are the cherry on the cake in dressage! You can teach your horse flying changes once his canter is of good quality, he is working in an uphill balance, and he is sharp to your aids. Take your time! It’s better to spend a few more months perfecting your horse’s collected canter before teaching flying changes.